I don’t know about you, but this year feels like it is flying by at a dizzying pace. It’s been this crazy level of busy that feels awesome. Last weekend I took part as an exhibitor and speaker at the Pump Up Your Life Expo in Lexington Ma. 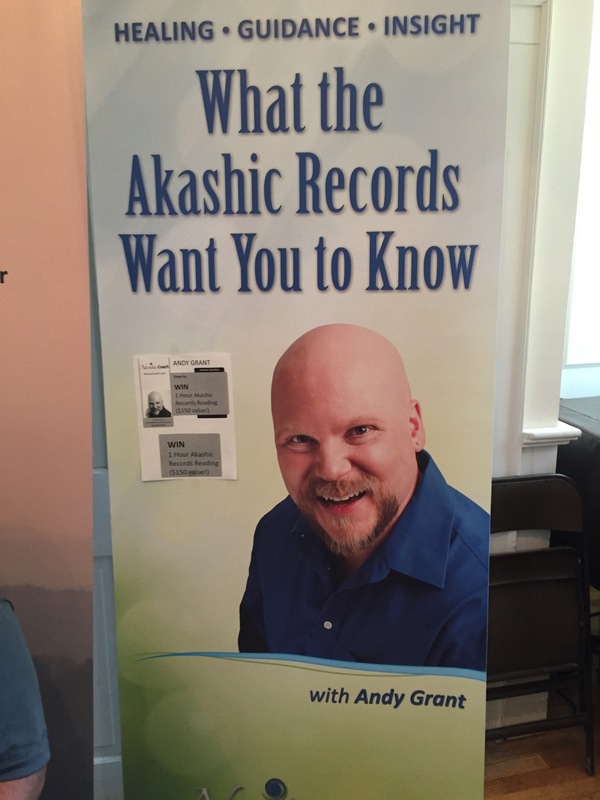 It was my first time with a booth at any sort of event and I had a great time talking about the Akashic Records, and meeting so many smiling, sweaty people (it was a very warm building). I signed some copies of Still Here: How to Succeed at Life After Failing at Suicide, raffled off an Akashic Records Reading and gave a 30 min talk, “What The Akashic Records Want You to Know.” I also did some quick demo readings as part of my presentation. At the end of my talk I noticed a few minutes left on the clock and I tried to squeeze one more reading in. I was half way thru the prayer, really rushing it, and feeling nervous when I got a Clear NO. Abort this. I left the presentation room and went back to my vendor table upstairs and noticed something felt stuck in my throat. I kept having this cough I couldn’t shake. Tried drinking water, kept feeling like it was going down the wrong pipe. This feeling lasted for close to 40 minutes and it seemed like it was somehow from the aborted Akashic Records reading. Eventually it passed and I almost forgot all about it. The next day at home I dump out all the entries for a free 60 minute Akashic Records Reading and I randomly pick a name; Michelle Corey. Michelle was the final volunteer at the workshop that I tried to cram in. My jaw dropped and I called her right away to let her know she won. It was so wild. I had such a good time I even drew a 2nd name for a free 30 min session and that went to Lisa Heffley. Lisa was one of the last people I spoke to that day and she even asked if I would do a quick little reading right there at my table. I declined, but she won the unplanned 2nd giveaway. I couldn’t dare make this up if I tried. I shared a special offer at the event and because I so love working in the Records, here it is for everyone. There is also a brief video about the records here as well if you aren’t familiar with them. Leave a comment for: "Akashic Goodness"